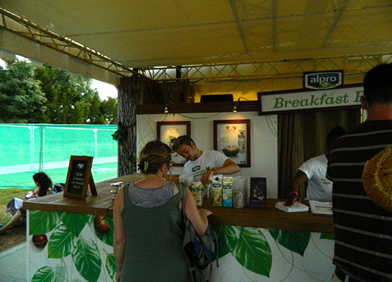 Back from WOMAD 2012, I’m not back at all. In fact, I hope I never return from where I was there – ensconced in music, immersed to the point of giddiness, dancing, singing and clapping along like never before, then washed ashore on musically enlightened high ground with a freshly renewed world view. Like all great inventions, WOMAD (World of Music, Art and Dance) started as an idea, in this case, in 1980 in its’ originator, Peter Gabriel’s basement in Bristol. Though the first ever WOMAD festival in Shepton Mallet, Somerset in 1982 lost money, Gabriel’s subsequent reformation of his former band, Genesis for one last benefit concert saved the day. 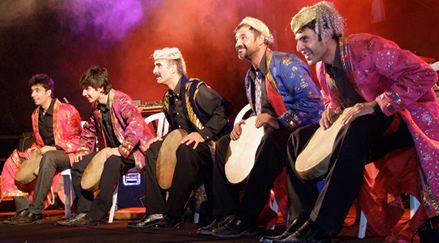 WOMAD has since, mushroomed into the glorious celebration of world culture it is today. Though I’d heard rumblings of it, all of them favourable, it wasn’t until I attended WOMAD’s weekend at the Tower of London festival in 2008 that I had an appetizing taster of what it was all about. Since attending my first WOMAD Charlton Park festival in 2009, the annual event has become a star on my yearly calendar that I long look forward to, savour while there and cherish memories of thereafter. 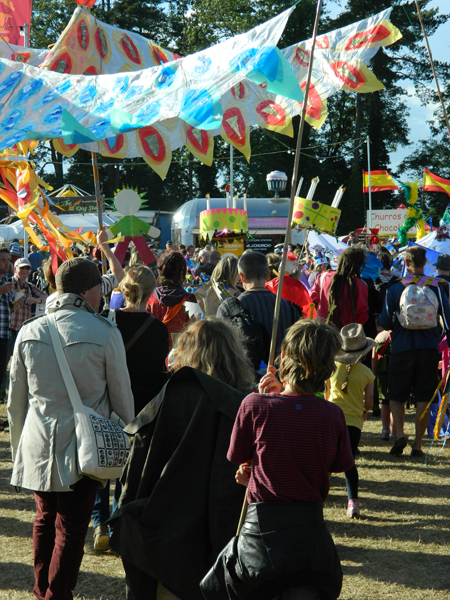 As Gabriel says, ‘I challenge anyone to come away uninspired...’ Since its inception, WOMAD has travelled the globe, inspiring millions of festival goers the world over. 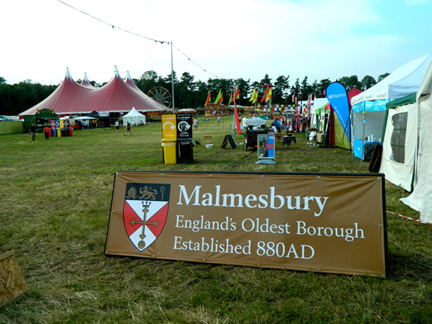 On a blisteringly hot Thursday afternoon, we alighted from the 31 bus at Millbourne in Malmesbury on the outskirts of the festival grounds, up for celebrating WOMAD’s 30th Anniversary. Our journey had gone without a hitch, despite having to leave an hour ahead to make it to Victoria Station before the streets leading there closed for the Olympic Torch relay. 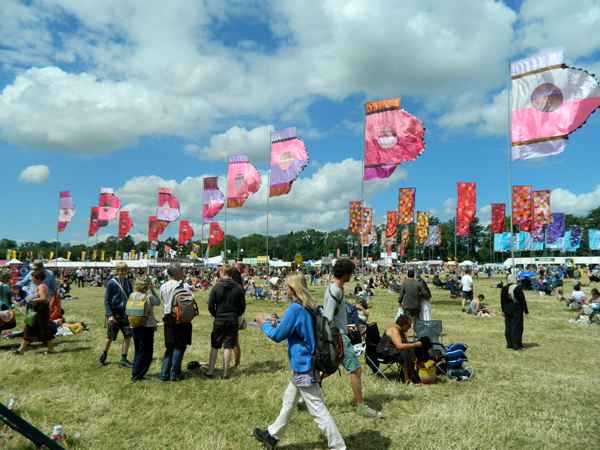 We planned to pitch our tent ASAP and circulate round WOMAD’s magically materialized grounds by mid afternoon. Best laid plans…as a crew member we bumped into after press pass collection helpfully drove our tent and huge back-pack ahead, then vanished while we sizzled like a couple of hapless burgers in the unrelenting sun. By the time our paths crossed again, the heat was at its zenith and sunburn was rife. 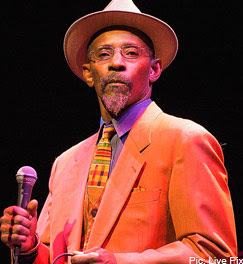 No matter, as all glitches were forgotten when the heat was finally subsiding, our tent was up and we’d hit the grounds at last, half an hour before legendary poet/singer/song-writer Linton Kwesi Johnson, in conjunction with the Dennis Bovell Dub band, whom he’s long toured with, began one of their most memorable sets ever. 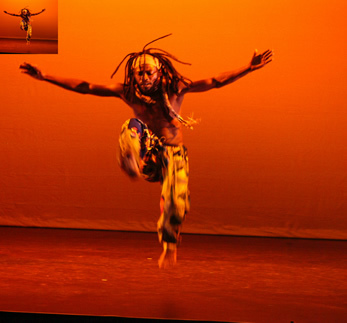 But before any big name performers took to the WOMAD stages, as the traditional introduction to the festival itself, opening act this year, Ballet Nimba of Guinea performed several enthusiastically enacted call and response song and dance routines on the Open Air Stage with groups of local children, from various schools in the area, uping the ante of such music and dance collaborations from years past. The resulting drumming, dancing, acrobatics, singing and guitar-playing made a rousing start to what would be a fabulously upbeat opening evening to WOMAD’s 30th Anniversary celebrations. 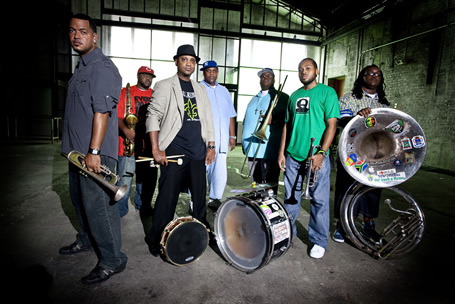 New Orleans’ Soul Rebels stirred the already shaken crowd to maximum voltage with their intoxicating blend of funk, ska, hip hop and good ole brass-bottomed Naulins grooves. One of the pleasures of WOMAD is always dancing among people of all ages and ethnicities and this dynamic was in full swing here as youths whooped and whirled among dancers old enough to be their parents and grandparents but perhaps, younger at heart then, than ever. On a trip to the nearby village centre of Malmesbury next day, a young girl with multiple piercings and shocking pink hair we encountered who’d been in the WOMAD crowd the night before spoke of the Soul Rebels with great excitement and admiration. What can you say about energetic, gifted trumpet player/singer Hugh Masekela of South Africa that hasn’t already been said? I was completely floored by the wowing talent and good humour of the man as he joked good-naturedly, then belted out songs in a soulful, raspy voice and played his trumpet on such a high that it seemed like a torch being brandished by a musical warrior! In one segment of his set on Friday afternoon, he spoke of his close friendship with late Afrobeat originator/activist, Fela Kuti and proceeded to give his own spiritedly humorous interpretation of one of Kuti’s more light-hearted songs, about how to treat an African woman, with accompanying gestures and movements. 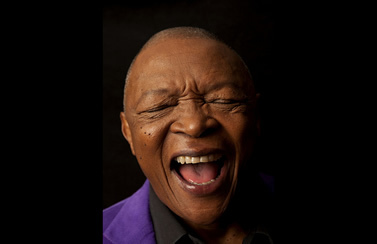 Much of what Masekela plays has the flavours of world jazz and African music interwoven together, in a alternatingly smooth/ rough tinged indisputably funky blend uniquely his own. But, like his trumpet, everything this musical giant did instantly turned to pure gold. I wasn’t a fan of his before, but I definitely am now! Narasirato from the Solomon Islands is such an intriguing group and their poly-rhythmic music, stemming entirely from bamboo pipes and percussive sounds played on various sizes of pipes, is so unexpectedly and addictively moreish, that we couldn’t resist watching part of their set on Friday afternoon, in the Siam Tent and their set, in its entirety on Saturday afternoon, on the Air Stage, joining in with the furiously moving throngs doing their things on the grass as the group performed during a thankfully hot spell, in loin clothes and body paint. As the lead singer threw back his head, tossing his shoulder length locks rock style to the eerily cheerful sounds of the all pipe and percussive band, I found myself wondering what their songs were about. Regardless of language barriers, I surrender – I’m well and truly hooked. Carlou D of Senegal performed a memorable set in the Siam Tent Friday evening, with his band offering upstanding support. Looking more like an African prince in his long white robes, than the street-wise individual he seemed on the cover of his first, self-titled solo album, this former member of politicized hip hoppers Positive Black Soul held the crowd spellbound as he wove one song after another, creating an evocative tapestry by the end of his emotive set. One particularly moving song, delivered in a very soulful style by D was about and dedicated to his late mother. Cheers following his richly rendered set were well deserved. I hope to follow D’s career and see him perform live again sometime in the not too distant future. Before Bob Marley, there was Jimmy Cliff. 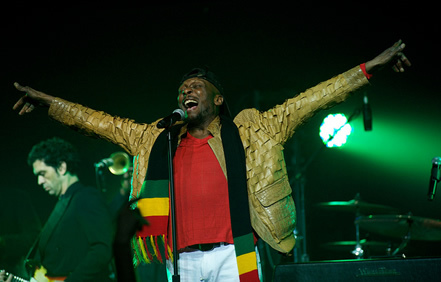 Though reggae legend Cliff claims, ‘Rebirth’ his latest and first album in seven years, denotes the rebirth of his career, his captivating performance on Friday night before a rapturous crowd proved his career needs no resurrecting. Cliff’s voice and delivery are so strong and full of earnest emotion and his stage presence so riveting that there was a genuine sense of awe in the crowd. In his BBC interview on Radio 3 following his fabulous set, Cliff noted that making Paul Simon’s ‘Graceland’, which he had made a guest appearance on, was risky business in the day, and that the social and political impetus of his own work contributed to the breakdown of Apartheid. ‘Vietnam,’ a former Cliff hit, became ‘Afghanistan’ over time as the war machine churned on, and it was met with great enthusiasm and recognition by the crowd, who sang along. The classic ‘Children’s Bread’ which we all danced along to is another great example of Cliff’s political conscience at work in his music. ‘Many Rivers to Cross’, sung from the soul, left us with distinct chills down spines. A top memory maker – Cliff! 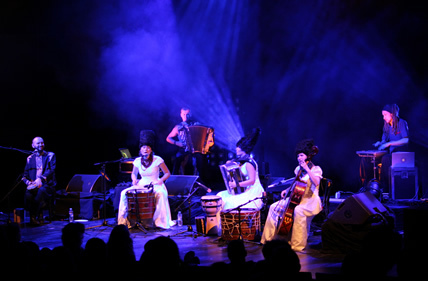 Another thing I and many love about WOMAD is its multi-faceted-ness, and in complete contrast to Cliff, Kimmon Pohjonen of Finland, Juuso Hannukainen & Dakhabrakha (Ukraine) made a superbly offbeat grouping, the three female members of the latter group appearing in what looked like elongated Bride of Frankenstein wigs. Their striking, pieced together ensemble generated hiking high notes that seemed to climb into the outer reaches of space, while ‘accordion adventurer’ Pohjonen explored the territory beyond possibility via his instrument. A sublimely cryptic, irresistibly experimental performance…Next day we caught Pohjonen’s electrifying solo set, in which he seemed to ride with his instrument as though driving a race car, hugging its’ curving notes as he swiftly rounded inroads to his own imaginings. On Saturday afternoon on the Open Air Stage, Nuba Nour of Egypt proved another evocatively alluring group, who, at first glance, exudes a strange sort of elegance and throughout, a cooling calm, despite the fast paced festival goings on around them. The group quickly, seemingly effortlessly, got feet, hips, arms and heads going with their wail like singing and hypnotic percussive based playing. Expertly plucked oud put the strings on the bow, so to speak, as their singing intensified and backup vocalists and musicians kept a pace, those dancing along enjoyed attempting. You may think you know Egyptian music, but you haven’t experienced it fully until you’ve heard this incredible group. 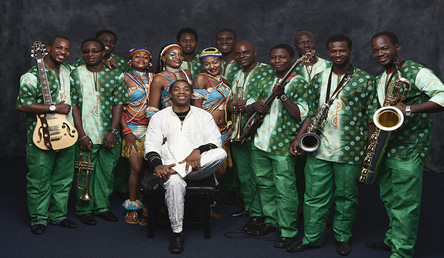 Femi Kuti, whom we’d never seen before, came across as macho, yet more musically subdued than his illustriously full on father, late activist/musician Fela, whose son Seun we’d seen and appreciated live on a couple of occasions. When asked by BBC Radio 3 if Afro-beat was still keeping pace with world politics, Kuti’s answer was,’ ‘Yes, but I’m trying to make it global now….People keep trying to spoil the future for a brighter generation… Because of WOMAD, it’s not just about classical music or rock anymore….There is more awareness. With the internet and all that now, governments are finding it harder to be hypocritical dictators anymore. It used to be a certain age group talking about politics and now you hear teenagers talking about it…People are aware…They realize, ‘oh, he’s 50…20 years have gone by.’ Kuti was accompanied here by his band, The Positive Force, and three female dancers. Khaled whom we’d seen at WOMAD at the Tower of London a few years ago, drew a huge crowd to the Open Air Stage Saturday night, not surprising as he is one of the most diverse performers around. Desert blues performed by Tuareg bands has always carried me away to some distant place, but given the mystique and rarity of appearances by veteran ‘desert rebel’ Abdallah Oumbadougou (Niger Republic) who plays wonderfully evocative guitar and sings of isolation and poverty in a uniquely uplifting way, I now feel as though I’ve been privileged to have seen and heard a mirage of sorts, with an extremely evocative live soundtrack. Being among the swaying crowd before the BBC 3 Stage, indulging in this elevating experience under a starry sky with tall trees outlined against the night by a glowing ring of light made it all the more magical, especially as I’d been lured into that space by the expansive sound of Oumbadaugou’s hypnotic voice as I’d made my way along the darkened path. Once there, I was instantly entranced and needed no coaxing to join in the cheers and cries for more at the end. 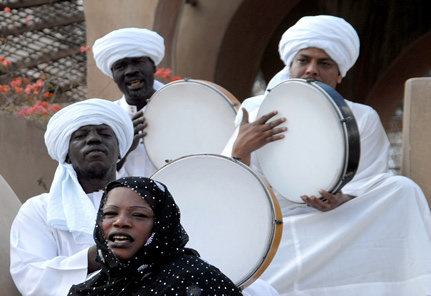 As I left the crowd, I passed Oumbadougou, cited as an influence by desert groups large and small, among them, Tinariwen, seemingly looming like a giant in his long white robes, his face barely visible beneath a black turban like headdress and accompanying white drape. Four piece group Deolinda of Portugal closed the night in fine style in the Siam Tent Saturday. It being the big night out of the weekend, all kinds of mini-dramas were ensuing in the audience while the band played, from a teenage girl doing the limbo while chugging from a wine skin, to a pair of young lovers making out as though it was wartime and they’d never meet again. Despite all these colourful distractions and more, I was able to focus on the band, drawing on, but not necessarily entirely defined by traditional Fado string based music. One of the highlights of their set was a song they’d written a few years ago, about a young girl who achieved a college degree, but found herself unable to find appropriate work afterwards. From the first, whenever they’ve performed the song in Portugal, those listening stood and clapped in recognition of, and solidarity with its subject matter, so the song has remained in their set ever since. Sunday noon, the Alevev Family of Israel were a sensationally spirited delight from eighty something grandfather, through cousins from age sixteen up, though uncles, and fiddles, clarinets and drums. They had the crowd roaring and getting down from their opening number and during the course of their set the band members bantered naturally between one another, adding personality to their nothing held back, collaborative performance. Wailing on his clarinet, one of the middle aged front man’s sons took us beyond Yiddish inflections into the outer reaches of dancing ecstasy, with the rest of the band joining in, adding their own layers of driving texture. Dancers obviously in the know about Klezma music, many on their own, formed a line of ever shifting contorting bodies down front, with those still finding their way, a couple of rows behind. Though by mid - set, the entire house was on the move, cheering and clapping one wildly shifting song after another, swaying to the few slower numbers. What an opening to the day! The Pine Leaf Boys, a group of French Cajun, ‘honky-tonk’ musicians added spicy sparks to our Sunday afternoon on the Open Air Stage, amusing the crowd with their introductions and songs about ‘whiskey, evil women and bad men,’ among other things, most of the subject matter relating to being lovesick, or just plain sick, in one way or another, always, laughably so. Their greatly enjoyable performance took us right back to New Orleans, a town we’ve visited twice, for two reasons - its’ music and food, both of which are undeniably fiery. ‘Keep Your Hands Off of It if It Don’t Belong to You’ was just one of several irresistibly rollicking numbers the band played with yours truly and all and sundry kicking out the jams with WOMAD abandon. Piano, played Jerry Lee Lewis style topped up the jumpin’ jumbo, as the lead singer’s accordion and some finger lickin’ fiddle did on ‘Popcorn Blues’, following an anecdote about eating salty popcorn and drinking too much beer in ‘a little town not too far from here (Malmesbury) called Liverpool’. L.A. bluesman Keb Mo thrilled the crowd in the Siam Tent with his smooth but grittily played guitar and low down, soulful vocals, though we only managed to catch the tail end of his set due to scheduling changes, so we initially went to hear him on the wrong stage! Here’s hoping to top up this teaser in future! Without doubt, one of the festival’s highlights was Jupiter & Okwess International from Kinshasa, Congo whose well received, dynamic style of music and song spoke well for their articulate frontman, who spoke to the crowd in French, a language I unfortunately don’t speak myself. That said, no translation was needed for their performance as the crowd went into overdrive dancing and clapping along to their singing, guitar playing, conga, funky alternatingly interlocked music. Having seen the group in the excellent documentary Jupiter’s Dance, we were eager to hear them perform live. We were not disappointed. As Jupiter himself has said, in the aftermath of the success of the music of their country via compatriots Staff Benda Bilili, ‘we sleep on mattresses full of dollars…yet we are starving.’ I hope such demoralizing paradoxes are now in the process of breaking down, once and for all. A lively parade wove its way round the grounds early Sunday evening in which many costumed children and adults took part, their home-made outfits and props presumably created during World of Kids crafts sessions. An animated band was part of the proceedings and a giant piñata, filled with sweets, a dragon carried along on poles and some giant birds were part of this colourful spectacle, along with lots of paper WOMAD birthday cakes and cheering festival goers on either side of their path! Cuban superstars Orquesta Buena Vista Social Club and singer Omara Portuondo, brought the sun dancing from the clouds in the Siam Tent on an intermittently overcast Sunday with their warming blend of salsa, cha-cha and rumba, their outstanding singers and musicians lifting spirits as well. Though it’s a well known fact that several of the original band members have, since the group’s belated fame, passed on, the group still retains some of its original members and newer players who’ve been with the outfit for many years. Eliades Ochoa, the cowboy hat wearing superb guitarist/singer many know from Afro Cubism graced the stage with his talents on this occasion as well, as he’d joined the group’s tour for a few weeks. In any event, if you don’t move while listening to Buena Vista’s peppery rhythms, satiny guitars and clopping percussions you may need to confirm whether you’re really there! In my desire to present a well rounded picture of the festival, I was off watching the WOMAD parade round the grounds at the start of their set, and finding it impossible to penetrate the inner sanctum of the Siam Tent while they were on, I joined the happy dancers along the outskirts of the tent near the Siam Bar where I had a better than expected view of the stage. 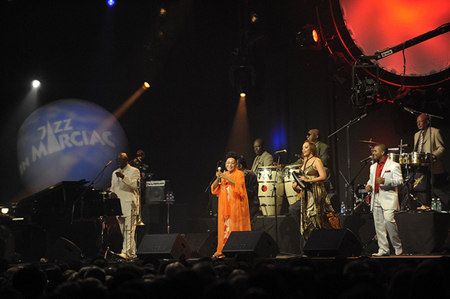 Omara Portuondo, their lead singer, who was pursuing her own solo career before joining them, and also tours with a group of her own, adds the ‘feminine touch’ to Buena Vista Social Club, to their advantage and ours. Younger, newer members of the group carry on the traditional music along with original members, and as Omara said at WOMAD in an interview with Lucy Durant of BBC 3, ‘the new members respect and carry on the spirit of the original band.’ We were very privileged on this occasion to have some of the senior members of the band appear who don’t always tour with the group. Omara Portuondo and husband Bobby Oyero, now both in their seventies, drew ecstatic cheers from the crowd as they danced beautifully together onstage. ‘Chan, Chan’ from the original Buena Vista album is still their most vibrant calling card. Fantastico! Led Zeppelin’s former front man Robert Plant, now into bringing the Delta meets Wolverhampton to his audiences with the help of his band, The Shape-Shifters including Ju-Ju, aka Justin Adams and Griot. 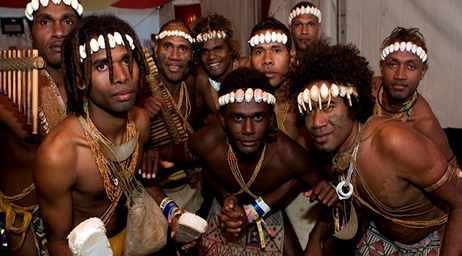 Juldeh Camara, and members of other top groups, appeared on the Open Air Stage Sunday night before a jubilant crowd. Jubilant, partly because those of us who’d been there over the entire weekend had endured through boiling heat, unseasonable cold and showers, only to emerge, in the spirit of WOMAD itself, undaunted, and, undeniably sad to see such a glorious Anniversary festival drawing to a close, yet determined to savour and enjoy it until its’ closing moments. In short, to go out with a bang! Middle aged women, dressed in girlish fashions, attempted to squeeze through the crowd from back to front to be nearer the rock god of their youth, as we assessed the scenario from the grounds behind the huge crowd, easily the largest of the entire weekend. Slipping into crooning mode, Plant launched into the opening verse of ‘She Cried,’ a ballad oddly suited to his rough edged, unmistakably rock voice. ‘Hey, hey mama’, as semi-growled by Plant got the ladies in the crowd screeching as Camara rocked what should have been a harmonica solo on his riti (1 string African violin). As the beats got meatier, Plant stuck himself into the grooves of his pastiche, ‘Hey, hey mama…’ drawing audible murmurs from the attentive audience. A trademark Plant scream in the context of this interwoven number kept the crowd glued in place as we made our way round the grounds around them. John Mayall aka rock blues songs were a Zepplin staple and Plant favours them still, as they, happily, formed the backbone of his set here. ‘I got my mean ole spell on you…’ Plant wove his spell over the crowd that’s for sure…’Who Do You Love?’ ignited the night. Boubacar Traore ‘elder’ West African bluesman from Mali seemed anything but old as he buoyantly smiled, amazingly played his guitar and sang from the heart to an appreciative audience in the Siam Tent, the last performer at this year’s celebratory festival, and what a high note to wrap things up on! Traore was accompanied by a French harmonica virtuoso and an African drummer who beat unhappily on an oversized gourd that was noticeably, under-miced. At times, the clopping rhythms of desert blues lent a nomadic flavour to their already heady mix. 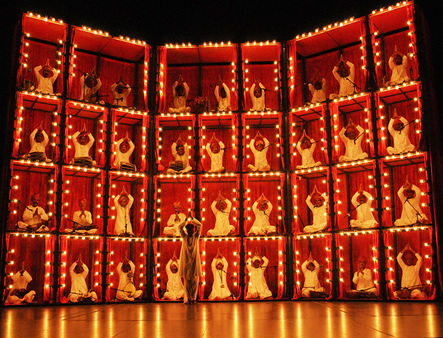 The big blue Siam Tent is known for its’ intriguing late night performances, and it’s traditionally, the last tent to close each night. In the case of this set, we were also treated to some normally backstage drama, onstage, as the band members, individually and finally, collectively sought to sort out the unwelcome sound variances of their set. Another great feature of WOMAD’s liver than live sets is their occasional, but inherent glitches. That said this sublime group surmounted any difficulties with their soulfulness and inventively played riffs, ultimately leaving an impression of wonderment behind them, which will, no doubt, lead to well warranted, further investigation of Traore’s canon and career. Groups I wanted to see and missed, either because I was off hunting down a coat to ward off the sudden cold on Fri/Sat, or, couldn’t be in all the places I wanted to be simultaneously, included: Hot Water (South Africa), Portico Quartet (UK), Blick Bassy (Cameroon) and so many others I can’t list them all here. In addition to a myriad of live sets from bands from around the world, WOMAD offers an opportunity to attend workshops and sample world cuisine up close and personal with your favourite artists via Taste the World. As if that isn’t enough, there is ever popular late night Molly’s Bar on the outskirts of camp, San Fran Disco Bar, generally frequented by teens, and an expanded fairground with a number of retro amusements and rides for the enjoyment of all the family, as well as morning meditation for early risers, Tai Chi sessions, and countless opportunities to dance, dance, dance in the fields of WOMAD!! The art part of this year’s festival was comprised of several short films by various artists being screened in large containers on the outskirts of the World of Kids area, a section filled with workshops and play areas specifically for children. When we walked through one afternoon, young children were learning African dance, being taught by one of the performers entertaining at the festival. Everyone was really enjoying it! If you’re open to it, the enriching enchantment of a WOMAD world music, dance and art festival can become a life-changing experience, with the ongoing potential to enrich your life and those of others who become inspired by your shared passion for world music and cultures. I’ve already come away from this year’s festival determined to stay with some music related projects of my own and I’m not a musician in the traditional sense of the word, rather an enthusiast, with the firm belief that music and all the positive things that occur as a result of it, are life-enhancing experiences. Make wise use of your time by listening and learning, then, spread your new found sensibilities round the world, through and with WOMAD.